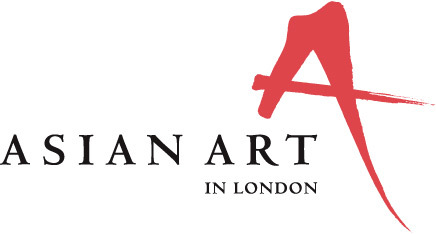 Asian Art in London is a fabulous ten-day event with over fifty high-end galleries and auction houses based in the heart of London participating with displays of new and old Asian Origin works. The art and artefacts range from calligraphy to pottery and everything in between. These ten days host (ticketed or by invitation) reception parties, seminars, lectures, specialist guided gallery hops as well as late night openings. It is a great opportunity for both collectors and art-sellers. This is purely a money making endeavour and that is perfectly acceptable as these galleries and auction houses are all commercial businesses. Even if one can’t afford an £80 ticket to the Opening reception party, you are still welcome to go around the galleries and feast your eyes on magnificent, highly skilled works of art, as well as some almost-extinct art-forms from past centuries. When I say almost-extinct I am referring to Miniature painting that is a historical art form that still exists today but is super laborious and time-consuming to practice in today’s age, and has hence evolved into a contemporary version of its former self. Originating in Persia, this historic technique thrived and reached its peak in the Miniature Painting Ateliers of the Mughal Empire. Today, these works are part of the collective heritage of the countries Pakistan, India, Iran, and Turkey. I came across three original folio’s from the exquisitely painted book, the BaburNama (the story of the first Mughal Emperor Babur illustrated with meticulously detailed miniature paintings) at the Francesca Galloway Gallery, and two folio’s from the book, AkbarNama (a book detailing tales of Babur’s grandson, the third Mughal Emperor Akbar) as well as a few drool-worthy folio paintings from Firdausi’s Shahnama (the longest poem ever written by a single poet that took over three decades to complete) at the Simon Ray Gallery. It is absolutely mind-boggling that art aficionados like me who are not collectors are able to see these highly coveted gems. It is just as gobsmacking though that these historic pieces are still here in the UK. The galleries may have officially acquired them, but their presence in the UK is a constant reminder that they are stolen goods, a product of years and years of Britain’s history as Colonisers. These are reminiscent of the stripping down of the cultural heritage of the various countries Britain colonised in the past. As a cauldron of culture, London of all places should realise the significance of these masterpieces and the identities and histories attached to them. The galleries are doing what they were set up to do, i.e. trading art, but the wider government system, should enforce laws to return this heritage to their rightful owners.